Happiest of Fridays to you! I’m off today to take Jacob to a field trip, and I am thrilled to be along for the ride! This will be my first time volunteering for a field trip and he and I are both so excited! We’re heading to a Christmas play first, and then it’s off to a picnic lunch at a local park. It should be a wonderful day of memory-making with my sweet, sweet boy. The holiday season is in full swing, so today on the blog I thought I would share all of my favorite Christmas posts right here in one place to a) get you in the holiday spirit (if you’re not already, that is), b) help you with some ideas if in case you need them, and c) maybe even inspire you a little? Looking to do something crafty this season? I had so much fun making this ornament, and it’s the perfect thing to do to use all of those wine corks lying around. We have a ton! It also makes the cutest gift! I had to think long and hard about what I wanted for Christmas this year. Usually I keep an ongoing list of the things that I want, but there really wasn’t that much on the list when I started preparing for my post. However, once I started browsing, I came up with plenty of ideas! If you’re in need of some ideas for your own wish list, might I suggest shopping mine? And if you’re in need of gift ideas for others, I also have you covered there as well. Links to the original posts are below. ‘Tis the season for fancy dresses and you can shop some of my favorites in the link below. I want them all! I did a bucket list for 2015 and I carried the tradition over to this year with a bucket list for 2016 as well. You can see both of them below. 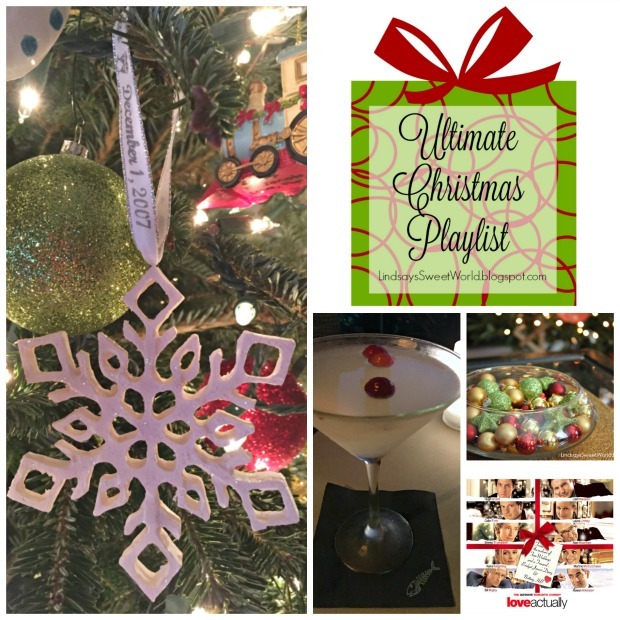 Lots of fun ideas… festive things to do, movies to watch, things to make, and good food to eat! Last year I shared so many fun things, but I know a lot of you readers were not around back then. So in case you missed them, here are some of my favorite Christmas posts from last season. I am so in the festive mood!! It makes me so happy to see all of the decorations and lights up. Love the photo of the four of you in your Christmas best. Beautiful family! Have so much fun on the field trip! I know how excited you must be! Thank you so much, Andrea! We have a lot of Christmasy goodness planned for this weekend, so it should be a great one! I love those dresses! I am going to fancy Christmas party (first time in 10 years) and I ordered 4 different dresses off of Amazon! Luckily I found the perfect one. I hope you have fun on the field trip! How fun to go on Jacob's field trip! Brayden went to see the Nutcracker yesterday but I didn't get picked to go with, I was SO bummed! I am going to look back at your Christmas lists because I really don't have much on mine this year either and Rick is bugging me! Have a great weekend! So much Christmas goodness in this post-I love it! I hope you have a wonderful day with your sweet boy, those memories are the things us mamas cherish so much. I can't wait to link up with home tours next week-YAY! I still want to make that grape ornament. They are just too cute. Love all the festive dresses! Have a great weekend! I still love that ornament so much! Love that swell water bottle...the color is amazing! How fun! I hope you and Jacob have a wonderful day! You did such a good job with that DIY! Have fun on the field trip! Love that wine cork ornament. I hope you had a great time on your field trip! I'm so excited to do that with Lilli someday! Have a wonderful weekend! Thank you, Brandi! We had a great time! That dress in the middle is so much fun. I wish I had a reason to go buy a party dress :P.
Love this great Christmas round-up post! I'm with Beth...love the dress, but have absolutely no reason to buy one!